Sarah gets the opportunity to act in an independent horror movie. Though not knowing much about the film and its crew she gets her boyfriend Daniel to drive her to the supposed location of the shoot. When they arrive there is nobody around but soon a lone car is driving to the location. As Daniel steps out of the car to ask directions he gets attacked. So begins Sarahs descent into torment from three psychopaths who are making a film...though it is a snuff film and the outcome for Sarah is not looking promising. 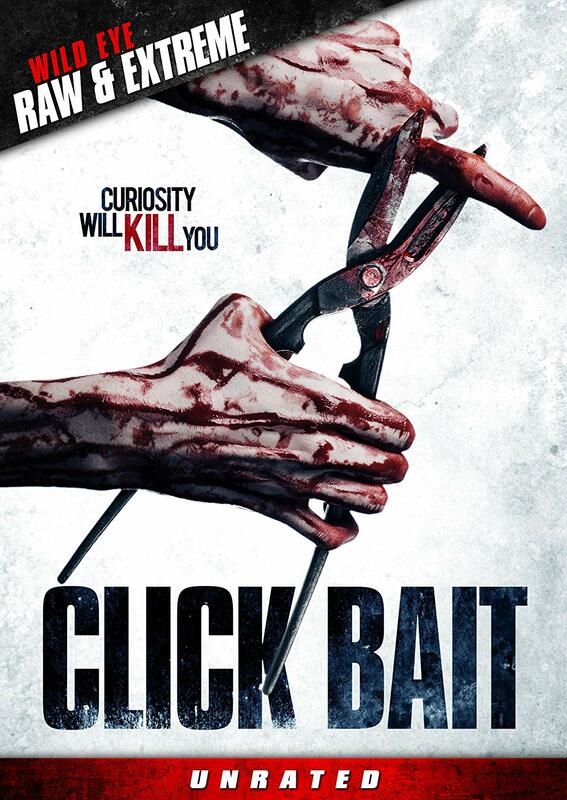 CLICK BAIT is ultimately an extreme warning to those desperate to seek fame and fortune. Shot mainly by handicam, the film is reminiscent of SOV films of the early 1990's. The budget is very small but you can tell that every penny was used well. Its not a typically gory film but when it does venture in that direction it is minimal and effective. The psychopaths are suitably creepy especially the one who has a haunting laugh that will stick with you long after the credits roll. Well worth checking this French horror film out.